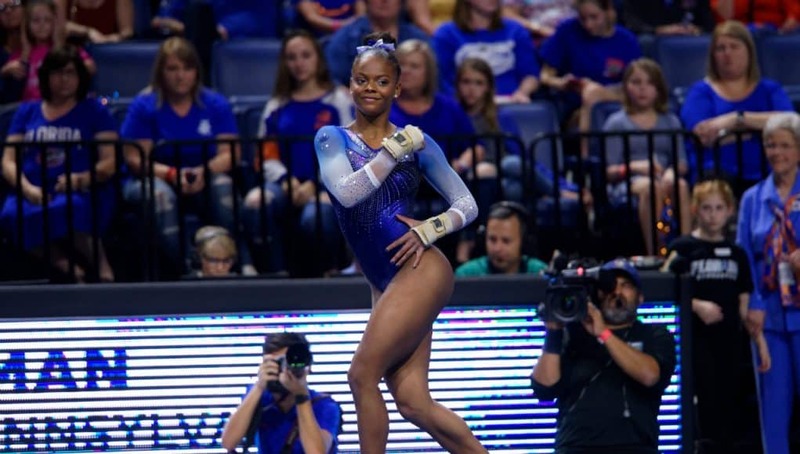 GAINESVILLE, Fla. – Can Florida make it a sweep of the 2019 Southeastern Conference gymnastics titles? The Gator gymnasts look to add the SEC Championships trophy to their league regular season title Saturday in the Smoothie King Arena<https://urldefense.proofpoint.com/v2/url?u=http-3A__www.smoothiekingcenter.com_&d=DwIFAg&c=pZJPUDQ3SB9JplYbifm4nt2lEVG5pWx2KikqINpWlZM&r=6MG06PG_fwpe7ULfewi6NrFR2j_4ngNZtgGHhDCeRY0&m=CQh1MGsMYQxE06xp6kdXJbnlH9BiYyIMVM41HsjI9RI&s=pTgkYjgsgMyjs5j24Y2G1ZHGyvJ6qCzZIv7sQwLaUQ8&e=>. The SEC Championships makes its first visit to New Orleans, La., this Saturday. The Smoothie King Arena is the eighth venue to play host to the SEC Championships since the event moved to neutral sites in 2001. One ticket gains entrance to both sessions. Tickets range in price from $17 – $22 and can be purchased at TicketMaster<https://urldefense.proofpoint.com/v2/url?u=https-3A__www1.ticketmaster.com_event_1B0054F8850418FA&d=DwIFAg&c=pZJPUDQ3SB9JplYbifm4nt2lEVG5pWx2KikqINpWlZM&r=6MG06PG_fwpe7ULfewi6NrFR2j_4ngNZtgGHhDCeRY0&m=CQh1MGsMYQxE06xp6kdXJbnlH9BiYyIMVM41HsjI9RI&s=WIiMzr-9K0KTSoYm5YO4hQ_Mm3M2LabYLSvTgbCgg1U&e=>. Both SEC Gymnastics Championship sessions are televised live. March 26 SEC Network 1 a.m.
Olympic medalists Bart Connor and Kathy Johnson Clarke call the action. 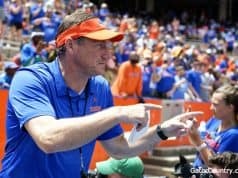 The last SEC Championships held at a school site was in 2000 in Gainesville, Fla. Every league championships since has been held on a neutral site. This is the 13th consecutive year the SEC Championships is contested on podium. With the addition of Missouri to the league in 2013, the format for the SEC Championships moved to two four-team sessions. Teams seeded No. 5-8 (based on March 18 regional qualifying scores) compete in Saturday’s opening session at 4 p.m. ET followed by seeds 1-4 at 87 p.m. ET. Scores from the two sessions combine to determine the team and event champions. As the second seed in the evening session, Florida’s rotation order will be bars-beam-floor-vault. March 18 regional qualifying scores set the SEC Championships’ seeds<https://urldefense.proofpoint.com/v2/url?u=https-3A__roadtonationals.com_results_standings_season_2019_11_0_5&d=DwIFAg&c=pZJPUDQ3SB9JplYbifm4nt2lEVG5pWx2KikqINpWlZM&r=6MG06PG_fwpe7ULfewi6NrFR2j_4ngNZtgGHhDCeRY0&m=CQh1MGsMYQxE06xp6kdXJbnlH9BiYyIMVM41HsjI9RI&s=uzywml8h70GePWC5AV4hTTcxMN-_hPl7WTe3BxXL_Hk&e=>. * Half of the nation’s top-10 teams (No. 3 LSU, No. 4 Florida, No. 8 Georgia, No. 9 Kentucky, No. 10 Alabama) are among the eight-team SEC field. No other conference in the nation has more than two among the current top-10. * All of the nation’s top-10 totals this season<https://urldefense.proofpoint.com/v2/url?u=https-3A__roadtonationals.com_results_charts_allteams&d=DwIFAg&c=pZJPUDQ3SB9JplYbifm4nt2lEVG5pWx2KikqINpWlZM&r=6MG06PG_fwpe7ULfewi6NrFR2j_4ngNZtgGHhDCeRY0&m=CQh1MGsMYQxE06xp6kdXJbnlH9BiYyIMVM41HsjI9RI&s=Y2DkW57cnG79BPsMeG7lpYP0vI25WEDEzWMiUNrCtpo&e=> have come from four teams – UCLA, Florida, LSU and Oklahoma. 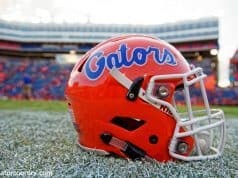 * Florida won the 2019 SEC regular-season title with its 6-1 record<https://urldefense.proofpoint.com/v2/url?u=http-3A__www.secsports.com_article_12309946_sec-2Dgymnastics-2Dstandings&d=DwIFAg&c=pZJPUDQ3SB9JplYbifm4nt2lEVG5pWx2KikqINpWlZM&r=6MG06PG_fwpe7ULfewi6NrFR2j_4ngNZtgGHhDCeRY0&m=CQh1MGsMYQxE06xp6kdXJbnlH9BiYyIMVM41HsjI9RI&s=jpQRZ78Oadw5XgY62T77WLlG_k5UXRYNMHBFvKBGiCw&e=>. This is the third season for a regular-season championship. A sweep of the SEC Championships’ event titles wasn’t enough for the Gator gymnastics team at the 2018 event in St. Louis, Mo<https://urldefense.proofpoint.com/v2/url?u=https-3A__floridagators.com_news_2018_3_24_gymnastics-2Dgator-2Dthird-2Dat-2Dsec-2Dchampionships-2Duf-2Dsweeps-2Dapparatus-2Devent-2Dtitles.aspx&d=DwIFAg&c=pZJPUDQ3SB9JplYbifm4nt2lEVG5pWx2KikqINpWlZM&r=6MG06PG_fwpe7ULfewi6NrFR2j_4ngNZtgGHhDCeRY0&m=CQh1MGsMYQxE06xp6kdXJbnlH9BiYyIMVM41HsjI9RI&s=fDqPs0nmZSTLVWUPhen84YyWrh-_163uHtd__iFGLps&e=>. LSU took its second consecutive SEC Championship at 197.40, followed by Alabama (196.975) and Florida (196.825). 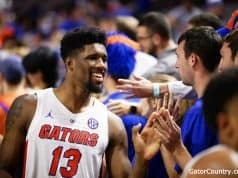 The Gators led at the midway point, but a miss calculated in its floor rotation dropped UF in the standings. Then senior Alex McMurtry, the 2018 SEC Specialist Gymnast and Scholar-Athlete of the Year, won both vault (9.975) and uneven bars (9.95). Alyssa Baumann’s beam mark equaled McMurtry’s vault score as the high individual score of the SEC Championships. That 9.975 is second only to Georgia’s Cory Fritzinger’s 10.0 in 2004 SEC Championships’ beam competition. Alicia Boren claimed a share of the SEC floor title (9.90) and took second in the all-around. Joining the trio on the All-SEC team were teammates Rachel Slocum, Rachel Gowey and Amelia Hundley. Baumann and Megan Skaggs also earned SEC All-Freshman team honors. Florida matched its 2019 high of 198.025 to close regular-season action March 8 with a home win versus No. 25 Penn State (196.325). The crowd of 6,805 gave Florida a season average of 8,333 per meet – resetting the school record for the second consecutive year and for third time in last four seasons. A trio of Gators used collegiate-best all-around totals to sweep that event. Thomas raised her best to 39.75 for her fifth all-around win of her freshman campaign. Senior Alicia Boren was just behind at 39.725. In her first all-around appearance in a year and a day, Megan Skaggs turned in a 39.55. In addition to her top all-around score, Thomas set or matched three collegiate event bests to take those three wins. She won vault (9.95) outright and shared the beam win at 9.925 with Boren and Skaggs. She and Boren equaled their collegiate best of 9.975 to share the floor title. Junior Amelia Hundley claimed her first uneven bars win of 2019 at 9.925. After her all-around win, Thomas claimed her sixth SEC Freshman of the Week honor. Thomas also claimed three SEC Gymnast of the Week awards in 2019. She is the first in SEC gymnastics history to claim a SEC Weekly honor after each week of competition.